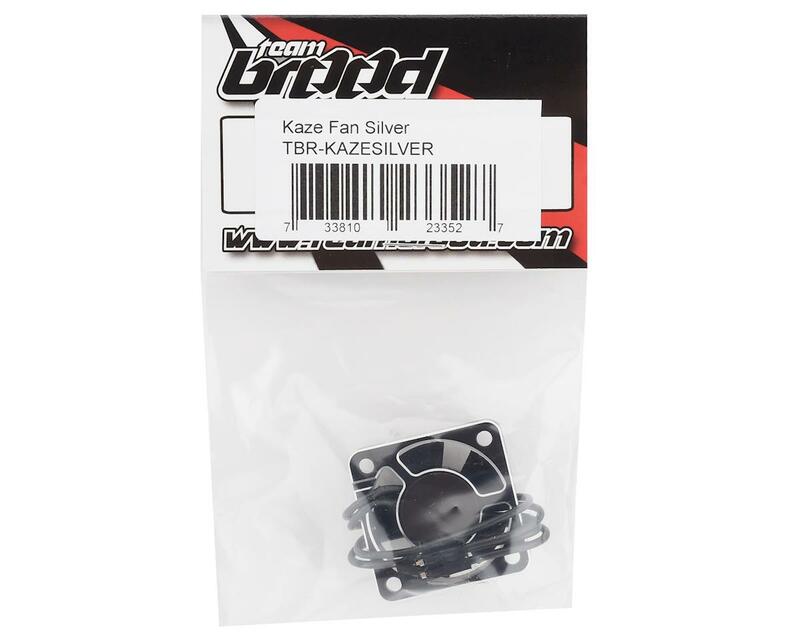 The Team Brood Kaze Aluminum HV High Speed Cooling Fan is a high quality fan option developed for high performance applications. The Kaze features a durable aluminum casing that will help to protect the fan blades in the event of a crash. 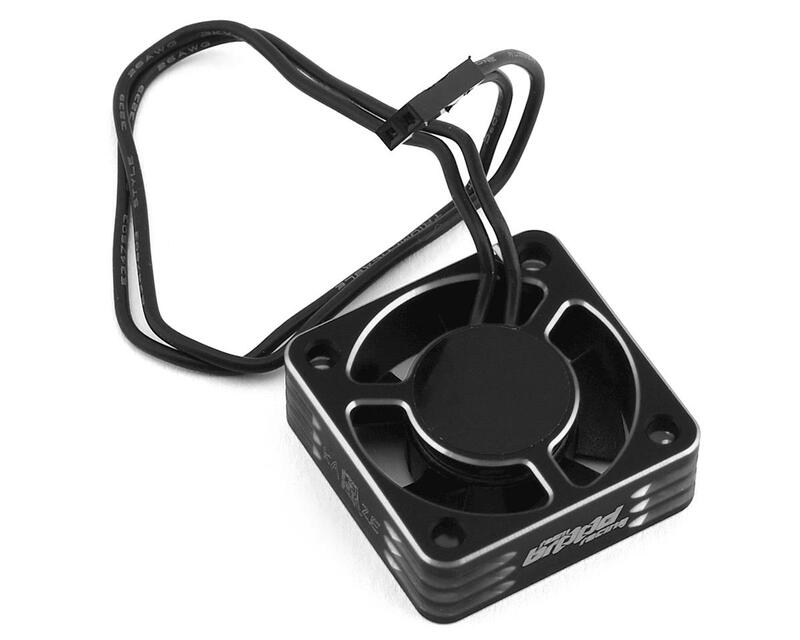 The aluminum case also helps to dissipate heat, allowing cooler operation of the fan motor at speeds up to 28,000 RPM. The increased heat dissipation also helps to prevent internal parts from expanding and causing failure. The fan is compatible with 2S HV LiPo systems (8.75V max), has dual ball bearings, and is pre-wired with a 2 pin connector that can be plugged directly into the receiver or another source of power. Plus, the flat sides of the aluminum case make it easy to secure the fan directly to the chassis with double side tape, or by using the optional Brood Machined Aluminum Fan Mount (not included - BRO-TBR-CNCFANCMOUNT). With all these features combined, this fan is an excellent choice for ESC and motor applications ranging from 1/12 to 1/8 scale. NOTE: For optimal performance, the fan should be installed at least 5mm away from the motor to prevent magnet interference and to allow sufficient air flow.